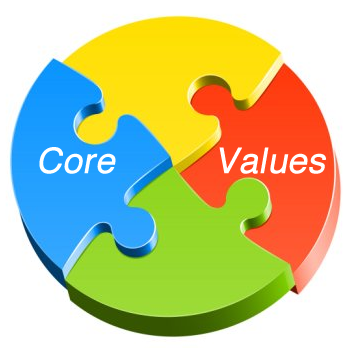 At Agile Boston our Core Values explain, inform and guide everything we do. For example, anyone who wishes to become an Agile Boston volunteer explicitly commits to these values in advance, as a condition of service. Volunteers are expected to act in alignment with these values at all times when representing Agile Boston. Some Volunteers become Leaders over time. Leadership must fully embody these values. We use this set of explicit values as guidance for selecting and interacting with Volunteers, Sponsors, Speakers, and the creation of Policies, Programs and more. Service to others is a teachable behavior and an attribute of genuine greatness in individuals, teams and organizations. Sincerity in the pursuit of genuine service to others is essential. Aligning actions with a clear purpose serves everyone, reduces stress, and creates the potential for great results. Be purposeful in every action. Effort is profoundly overrated; seek in all ways to efficiently manifest greatness in all of our results. We seek to create great results through simplicity and a clear focus on what is essential. Personal self-care and a genuine concern for the dignity of others is fundamental to great relationships, shared understandings and the creation of healthy communities. Consider every idea, regardless of the source; share your best thinking with others to increase collaboration and the potential for great results. Use openness to increase healthy and effective communication. Speak the truth as you understand it; fully disclose how you think and feel. Develop the skills and courage to express your truth in every situation; use these skills to model virtue in every interaction you have with others. Devote all your energy to the task at hand and immerse yourself in it; be passionate and determined to really enjoy all that you do, both individually and with teams. If this is not possible, exit the situation. Concentrate all of your attention on the task at hand. Recognize that a clear focus is always an essential ingredient in the creation of truly great results. Use focus to be effective in all that you do. Intentionally bind yourself to a course of action, individually and with teams. Make commitments only after careful consideration, then deliver on each and every commitment you make to yourself and others. Keep your promises.